If your office computer network just can’t cope with this increasing load anymore, then it is time for computer network and server migration plan. Migrating your computer network is not an easy job. It is a hectic work. But don’t have to worry because we are here for you. All you need to do is to call Tech Support Dubai. 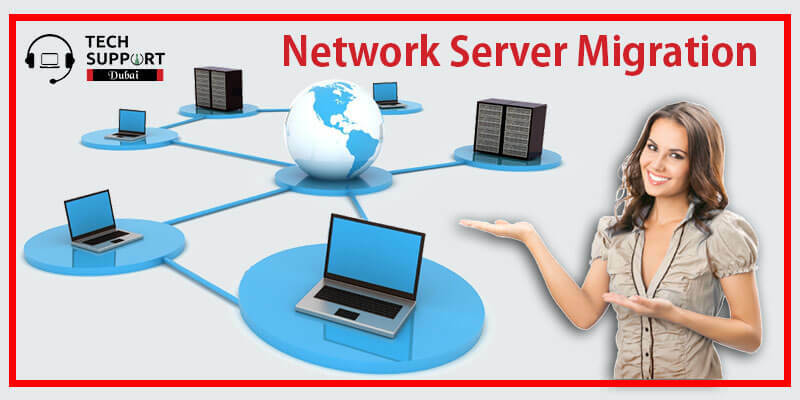 Our professionals will full your desires and will provide you the best Network Server Migration service that you can even imagine. What are the different types of Network Server Migration? If your server has the same web address, then the Technician will pick up your server at the same address after the move without any changes required. But in case of a different web address, the Technician will need to be re-downloaded after the movement and also the Remote Access services will need to be migrated. Need to change server address? Migrate button that appears in the details panel below. You can again follow the steps mentioned above to remove the previous, old server web address. Most of the companies cannot afford an extended period of obligatory idle network time caused by the information unavailability. It is where server migration plan comes into play. When the requirements of a company’s security and data safety change also then need for database migration arises. Updating your IT equipment, the general server migration plan, moving your electronic information to other data center are some different reasons for the migration of database. Tech support Dubai professionals are fully prepared to put their knowledge, skills, and experience to use and come up with the most efficient and reliable options for your network and server management.